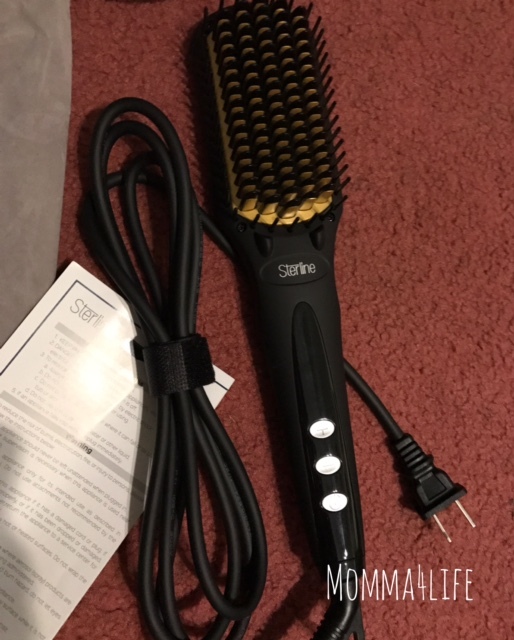 I have tried multiple heat styling brushes in the past but this one is different this Sterline Electric hair straightener brush goes through your hair so easily. Where I've had other brushes tingle my hair up and not glide through it. 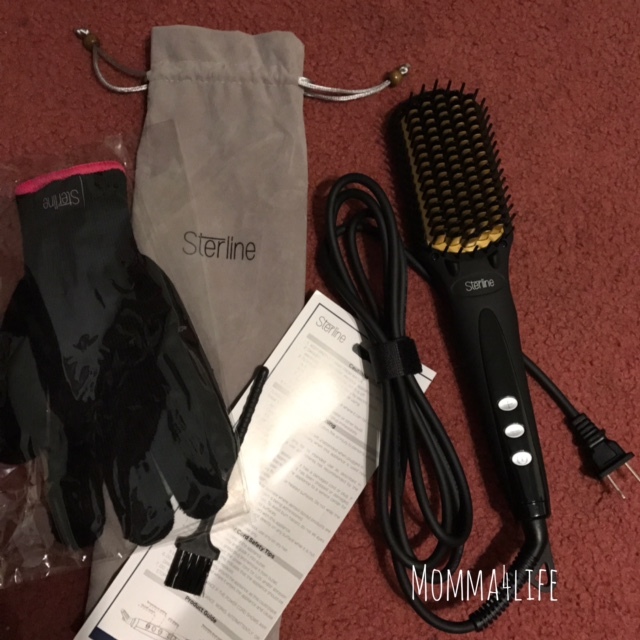 This brush comes with a free heat resistant glove, and detangler brush. For normal use is recommended to use this for 350 to 375 color treated hair 300 to 330, and ruff and hard to straighten hair is 450. Use according to your hair style and what you think is best. This brush is easy to travel to take it on the go. Do you need to do a quick touchup on your hair if so this is the brush for you it heats up really quick and easy. Just take your time when you're using it it's not something you want to rush and do. This comes with a really nice carrying case and instructions. I really recommend trying this product and it's amazing benefits. It works amazing.